She had fallen fast asleep. She was sleeping so peacefully. She was adorable. I slowly stroked her (H/C) hair. Tyler had fallen asleep in his bed and Josh had just finished washing and drying the bloody shirt that isn&apos;t so bloody anymore. "The shirts done" Josh said as he laid it across (Y/N)&apos;s face. She smiled and grabbed the shirt and hugged it tight. It was so cute it made my heart melt. She rolled onto her back, still laying in my lap, and looked up at me. I brushed a small piece of hair that had fallen in her face away. She smiled. "I&apos;m sorry (Y/N), if I hadn&apos;t taken you out to dinner then you wouldn&apos;t have these stitches." I said. "True but another thing I wouldn&apos;t have is a boyfriend to. I would have gone through that anyway just to be the girlfriend of my hero" she said. I blushed a little as she sat up and layed her head on my shoulder. "Josh, could bring me the ice pack?" she asked and he gladly brought it to her. Brendon had done that weird thing with the ice pack again so it didn&apos;t sting me. He was honestly the best thing that happened to me. I zoned out thinking about how this all was possible to be with him right now. "(Y/N), (Y/N), are you ok?" Brendon asked snapping me out of dream land. "Y-yeah. Im just thinking about how happy I am that my mom stole my backstage pass" I giggle and kiss Brendon on the cheek. He smiles and nods. "Oh speaking of your mom, you might want to text her and tell her what happened." Brendon suggests. "I cant tell her about my face, she will freak and sue you. but I asker her about her thoughts on us dating." I said winking at him. I texted my mom and put my phone down not worrying about her as a strong pain came across my cheek. I stared to cry. "Ow, B-Brendon! I-I-It h-hurts!" I said in between sobs. He started to panic not knowing what to do. He kissed my cheek and asked Josh to go out to get my pain killers. I could tell Josh didn&apos;t want to but he did for me. "Im so sorry (Y/N). This is all my fault!" Brendon said. 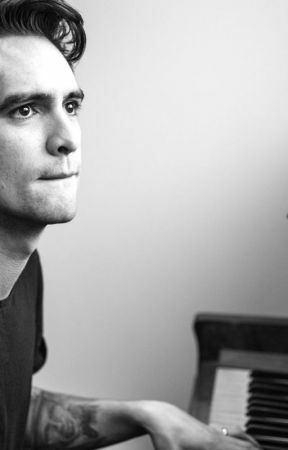 "Brendon..." I said rubbing my hand on his cheek. "This isn&apos;t your fault! please stop saying that. It makes me sad when you blame yourself." I said. He smiled and I pulled him in close and rested my forehead on his. Josh had left but Tyler had just woken up from his nap. "Hey guys, im gonna go grab some food. What do you want?" Tyler asked. "Just get me a coke" Brendon said. "Can you get me two large mocha chocolate frappes?" I asked. "Two, large?" Tyler asked. " My face hurts and I need something cold that will last me a long time to help" I said. "Oh, Ok, right" He said and left. "wow...were actually alone for once." I said. "Yeah, just like when we were first together in the bus. You laying on my chest on the couch. Until Tyler and Josh ran in screaming." Brendon said. "Yeah, except you had a shirt on that time" I giggled and he just looked deep into my eyes. I could tell there was a hint of lust as he slowly layed me down on my back and was hovering over me. I just looked back into his eyes as he then started kissing me slowly but passionately. We had been kissing in perfect synch until he gently licked my bottom lip asking for enterance and I denied not wanting this to get to out of hand especially since my cheek hurt. He then poked my side making me gasp for air when he took his chance to slide in his tongue but then my phone buzzed which had startled him and he lost spark. We both sat up and I picked up my phone and saw I had gotten a text from my mom. Mom: Well, honestly I think hes a great guy but I just don&apos;t know. I wouldn&apos;t want you to get your heart broken again after what happened with connor. Brendon looked at the text with a confused look on his face. "What happened with Connor?" He asked. "Its nothing, its a really long story and I don&apos;t want to talk about it." I was upset with my mom and her response. So I sent her a picture of me and Brendon cuddling on the couch and my face buried in his chest so she couldn&apos;t see my stitches. I put a caption on it. 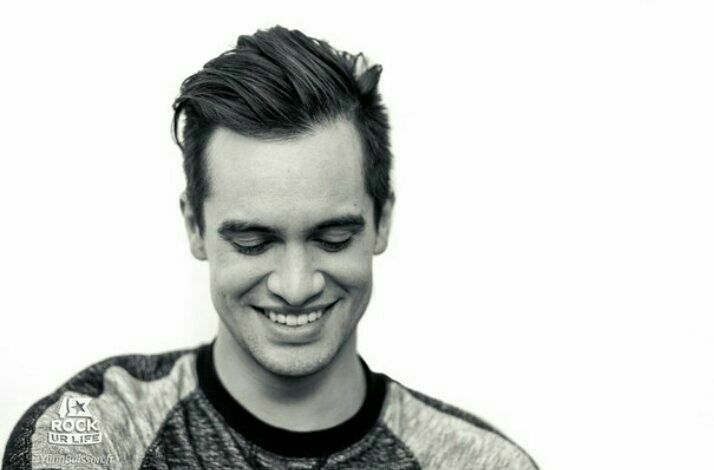 Mom, tbh, Brendon is the best thing that has happened to me. He is the most loving boyfriend that anyone could ever ask for. And I just so happen to be that very lucky girl out of millions to be dating their hero. I tried hiding my phone a bit so brendon wouldn&apos;t see the caption but he did. "Best thing that&apos;s happened to you?" He asks. I just blush and hold his hand to answer. Just then Josh walks through the door with my meds as he brings them to me. I take a pill with some water and lay back down in Brendon&apos;s lap. Tyler walks through the door with some food and hands everything to us. "I figured Josh was gonna be home so I brought him his favorite just In case" Tyler said. I had drank my fist frappe and put the other in the freezer for tomorrow. Why don&apos;t we get some sleep? Its getting late and tomorrow is the last day before we start leaving for tour" Brendon said. I look at my phone to check the time. 11:28 pm. "Yeah im really tired" I say as Brendon stands up and picks me up bridal style. I scream at the sudden movements. "B-Bren- Brendon! What are you doing!?" I shout. "Shhh" He says as he carries me to my bunk and lays me down tucking me in. I smile looking at him. 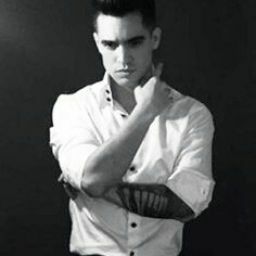 "Get some sleep, love" Brendon says giving me a quick peck on the lips then one to my cheek as he slowly closes my curtain and he hops in his bed. Tyler and Josh go to bed a couple minutes later after they finished their food. All of a sudden I wake up crying and screaming. "Brendon!" I scream without even knowing. All the boys wake up and rush  over to me. "(Y/N)! Im right here! Breath! Its Ok!" Brendon says but im still crying hysterically. Brendon picks me up out of my bed and carries me to the couch and he sets me on his lap. "Shhh, its ok. Calm down, im right here for you. Don&apos;t worry." Brendon whispers in my ear slowly. I start to calm down a bit as Brendon rocks me back and forth. "I-Im sorry. I-I di-didn&apos;t mean to w-wake you" I said. "its ok. Im sorry you had to go through this." He says smiling at me. And just that one smile, made me feel 100% better.